Without so much as a whisper from the retailer itself, Amazon’s Android tablet is heading our way. Rumoured to launch at the end of the third quarter in time for the holiday season, Amazon is hoping it can steal a little of Apple’s thunder and steal a little of its market share. Apple’s rivals have tried to match the aesthetics and the simplicity of the iPad and mostly all of them have failed; Motorola rushed its XOOM to market to become the first vendor to launch an Android Honeycomb tablet, Samsung has had limited success with its 7-inch Galaxy Tab but has struggled in its attempts to bring a 10-inch model to market. RIM launched its PlayBook without core features and the HP TouchPad did everything it could to tempt consumers with its WebOS platform but couldn’t match the the look and feel that Apple has delivered with the iPad. Apple’s closest competitor in the mobile industry is Google, a company that develops and maintains the fastest growing mobile operating system on the planet. But even Google was forced to admit that its Honeycomb operating system was not up to standard, having previously condemned vendors for creating tablet devices that ran Android builds that were specifically tailored for smartphones. Suddenly Amazon enters the frame. The retail giant has waited it out, silently analysing the market to launch services that can be utilised on the desktop, a smartphone, a tablet or in the Cloud. It watched as companies with years of experience in mobile design tried to fight Apple at its own game and launch with less than expected launch day sales. Granted, Amazon hasn’t even announced its tablet device, let alone tell us its feature-set but suppliers have already begun manufacturing what what will be Amazon’s first venture into the mobile space. The company has long supported its users with the creation of software for mobile devices, also launching the massively popular Kindle e-reader, but the time has come for Amazon to almagamate all of its properties and prepare for an all-out assault against Apple. To become the world’s biggest online retailer, Amazon has had to scale. The company is rapidly buying warehouses to ensure it can house the millions of products it sells to enable fast delivery times – the same goes for its online presence. Amazon is one of, if not the world’s number one Cloud storage and service provider and is seen by many to have led the march towards the Cloud, with affordable and reliable online services that even the most bootstrapped startups could afford. Asserting itself in the hosting market has helped the company make the best of its other web-based services, namely online music downloads and its new Android Appstore. Amazon launched its MP3 download service in September 2007 to compete with a more established service by the name of iTunes. The service launched completely free of DRM, allowing customers to enjoy their music on any device, for prices that undercut its rival. At the time, 2 million tracks were available to download, today its catalog stands at nearly 15 million. To tempt users away from Apple, the competitor must provide services that either replace or can match those of its rival. Amazon’s DRM-free downloads are not only be cheaper but they will work on a range of different devices – including an iPod – so if a tablet buyer has music on the mind, an Amazon tablet would be a good place to start, after-all it’s a brand trusted by millions all over the world. Apple recently announced its new iCloud platform, its first real step into the Cloud. Its new service, when it launches in the Fall will provide iOS device owners with seamless wireless backups, keeping music purchases online so that users do not need to sync their iPhone, iPod or iPad to listen to their favourite tracks. Amazon, despite not having a device to backup to its Cloud, pipped Apple to the punch with the launch of the Amazon Cloud Player. The service isn’t necessarily revolutionary (it requires a user to upload their entire music collection to an online digital locker or synchronise new Amazon MP3 purchases), but it provides a dedicated storage platform for a user’s music, regardless of where they bought it. In fact, users can upload any file they wish to the service. All accounts come with 5GB of free storage. However, Amazon is currently offering unlimited music storage for any paid plan, tempting users to the service in the wake of Apple’s recent announcement and pending launch. 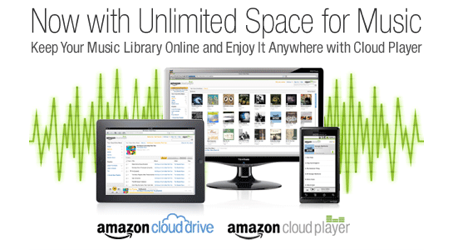 Amazon has already launched an Android application to allow users to access Cloud Player from their smartphones. The retailer also happens to be readying an tablet that will be powered by Android, meaning Cloud-based storage will almost certainly be baked into the core of its tablet PC when it launches. 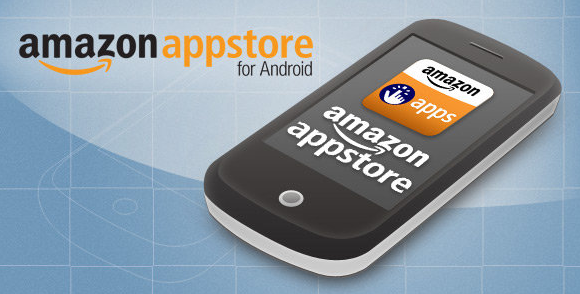 Then we have Amazon’s other new (US only) launch – the Amazon Appstore. The online marketplace exists solely to market Android applications, providing a way for developers who want to use Amazon’s retail might and marketing strategies to make their creations the successes they believe they should. Amazon’s decision to launch an Appstore was a surprising one, especially because there was no shortage of alternative Android marketplaces at the time. Incorporating its patented recommendation system and its “Free App A Day”, the third-party application store won many fans in the US primarly because it has been providing customers with downloads of some of the most popular Android apps and games. This isn’t to say it doesn’t come with its own shortcomings. The app approval system is said to be inconsistent, doesn’t offer device filtering, provides limited user feedback, there is no way to challenge negative reviews and its pricing strategy has been come under intense criticism. Because Google has restricted the use of alternative apps on its operating system, Amazon requires the user to download the app to their smartphone or their tablet before they can browse or download apps. This poses a risk for the company in the general market but if it intends on releasing its own tablet, it can bundle the necessary software (including its MP3 store and Cloud Player service) before the device is even powered-on by its owner. With its userbase set to increase as customers buy their Amazon tablets, the company will be able to finely tune its processes and marketing to get the best from the store, ironing out the bugs to tempt even more developers to the platform to cater for the demand of Amazon Appstore apps. Amazon’s Kindle is currently its ace card. In January, Amazon announced in its fourth-quarter earnings report that Kindle e-books had officially overtaken paperback books as the most popular format on its online store. In July the previous year, Amazon announced that Kindle books had passed hardcovers and predicted that Kindle would surpass paperbacks in the second quarter of this year. According to Jeff Bezos, for every 100 hardcover books Amazon was selling, it was selling 143 Kindle eBooks. In just the U.S. Kindle Store alone, there were more than 810,000 books. Amazon has released apps for every mobile and tablet device available, even making available specialised versions of its reader for desktop computers. The apps have been enormously successful and help Amazon retain its number one position as the world’s most popular e-book retailer. 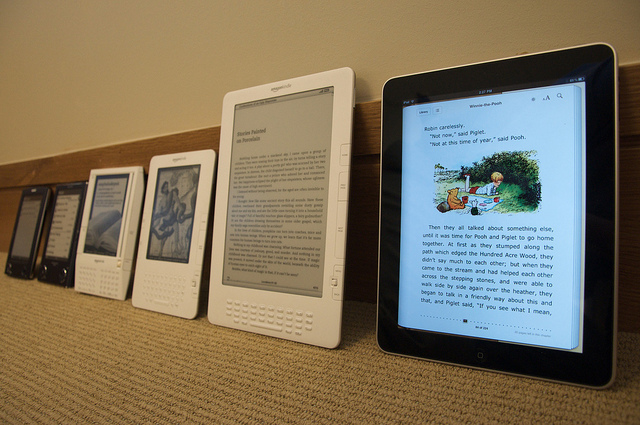 Whilst sales via its software have boomed, the Kindle transformed the way consumers bought and interacted with literature. Integrating WiFi and in some cases 3G connections into its devices, users were able to download tens of thousands of books onto a device that was no bigger than a small paperback and would last a month, if not more, between charges. Amazon is expected to release a tablet that would not replace its Kindle devices but accompany them, advertising the fact that readers can now read their books the same way they did before but are also able to enjoy music, apps and a full mobile computing experience. As a result, it is possible that the retailer will begin to subsidise its products, amalgamating the Kindle – maybe even its tablet – into its Prime membership. Here, Amazon’s retail expertise would really come into play; by offering a tablet at a reduced cost, it can tie its customers into a £50+ subscription each year that would not only reduce the cost of its electronic products but it can provide free streaming movies and unlimited next-day postal deliveries for orders. It would set the company apart from its competition, even Apple. No other company is able to offer such a wide array of benefits both mobile and retail based, that are separate from operators and don’t necessarily need a carrier partnership to ensure success. With millions of Kindle sold equating to millions of happy customers (have you ever met someone who was truly unhappy with their Kindle purchase? ), Amazon has a dedicated upgrade path that it can use to its advantage. Those who are happy with their Kindle purchases may want to invest in a colour version of the Kindle, one that can run applications, allow them to edit and produce documents on-the-go and surf the Internet the way it was meant to be experienced. Throughout the article I have referred to the Amazon tablet as a singular. However, there it is highly likely that Amazon will release a family of tablets; one a 10-inch model and a smaller, more portable 7-inch tablet. Chinese sources have indicated that both devices will sport LCD touchscreens, but in the very near future will move to technologies that will be able to switch between e-ink and a colour LCD screen. Processor-wise, Amazon’s tabs could run Nvidia’s new Tegra quad-core processor, run the latest Google Honeycomb release (Android 3.1) that has undergone extensive testing and will incorporate a number of new features. There are rumours that Apple could introduce a new iPad at the end of the year and even if it does, a quad-core powered iOS tablet would be matched by Amazon’s offering. Amazon has a huge online presence, one that unmatched by many. The retailer has years of retail experience, it already sells devices from rival manufacturers, giving it a competitive advantage over pricing and marketing such devices. Controlling apps, music and Cloud-based storage, Amazon can provide apps pre-loaded on its tablet that only require an Amazon account to use. There would be no complicated signups, additional downloads and a would likely incorporate a simplified user experience to ease new customers into a world of Cloud computing. Whilst Apple’s rivals continue to focus on features that Apple doesn’t feature, most notably Flash support – Amazon will be able to use its considerable marketing muscle to not only highlight its massive suite of services, but has typically been able to simplify its products so that even the most technology-phobic are able to understand what its products – the Kindle – can do. Analysts have already issued reports suggesting Amazon will sell 2.4 million tablets in 2012. Whilst that figure doesn’t even compete with the 10-12 million iPads that Apple is expected to sell in its third quarter alone, Amazon has time on its side. By subsidising its devices, it can heavily reduce its offerings to get customers investing into its technologies, hitting them with the upsell once they are onboard. Amazon can push its value-added services to boost revenues, whilst slowly building sales of physical devices. Its only a matter of time until Amazon formally announces its plans and confirms what many have been speculating. Only then can the industry assess Amazon’s chances of competing with Apple. The retailer’s portfolio of services suggests that it has had tablet plans for a number of years with every new launch building towards an all-out assault on the tablet market. The company hasn’t rushed a product to market, instead it has carefully thought through its options and planned accordingly. I expect the company won’t just try to compete, it will give everything to tempt consumers away from Apple and its “magical” iPad.